Week two brings much excitement with shows for dance, drama and gymnastics. Shows are the perfect opportunity for campers to demonstrate their leadership skills. The campers in gymnastics work together to make up their routine. They even choose a song that everyone in the class agrees upon. Teamwork is also demonstrated when the girls are making up their floor routine. All of the gymnasts have so many different ideas of what they should do with their limited time for their floor routine. The girls have to work together to incorporate all of their good ideas. As one of the Gymnastics instructors, it was incredible to watch how hard these girls worked on their routines. The girls never stopped perfecting their routine. I will be the first to admit all of the girls were successful in achieving their goals for this session. 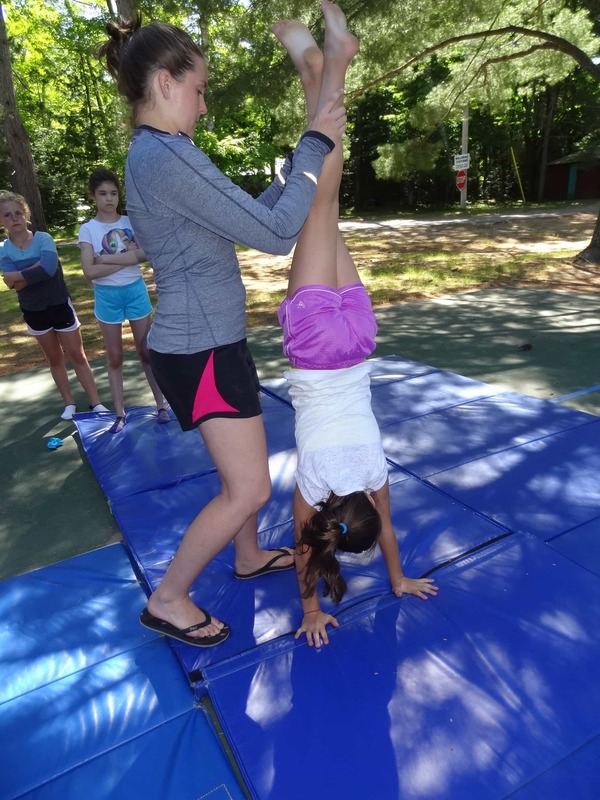 Each day in gymnastics we worked on improving skills for the girls to show off to their friends, parents, and counselors at the end of session shows. Each and every girl was successful in some way this session, whether it be getting more flexible, landing their back handspring, or simply remembering the routine during shows. We are so proud of each and every girl for the numerous hours of hard work they put into their routine.